One of my favourite Southeast Asian flavouring is the pandan leaf. It adds a very fresh, aromatic twist to both sweet and savoury dishes. When added to steamed rice, it imparts a very fresh, newly harvested scent and taste. In hot countries it grows in abundance and every household has to have at least one bush. It is so prolific that it sometimes grows more than you'd like it to. When it does, it can provide a safe haven to unwanted garden guests such as snakes. This is my own version of a popular Southeast Asian dish: Pandan Chicken. Well seasoned morsels of chicken are wrapped in strips of pandan leaves and fried. 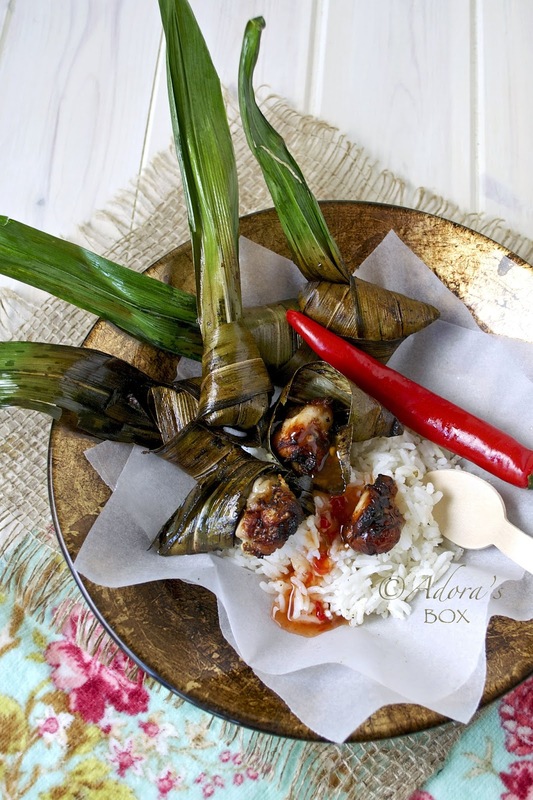 Both the seasonings and the pandan leaves give the chicken an intense aromatic taste. I wish the photos had a scratch and smell feature so everyone can enjoy the fragrance of this dish. Mix all of the ingredients, except for the pandan leaves and the cooking oil, together in a mixing bowl. Leave to marinade for at least 30 minutes. Wrap each piece in a pandan leaf. The pandan leaf is wrapped around the chicken like a neck tie. 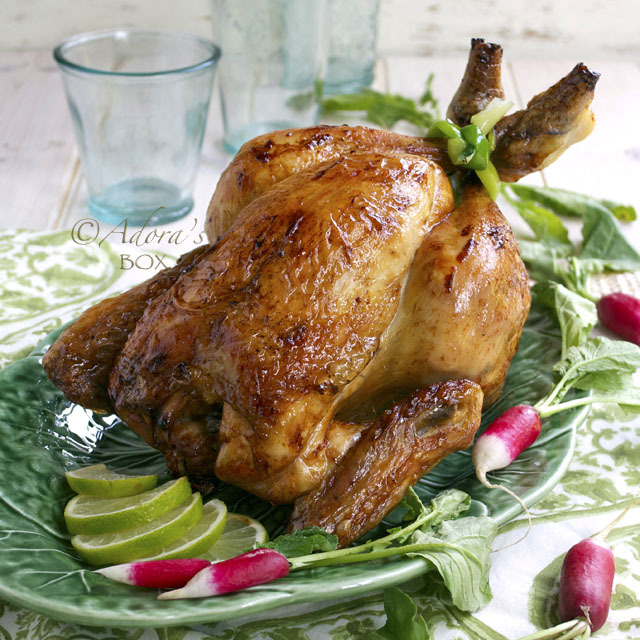 (1) Starting from the wide end of the leaf, wrap around the chicken in a conical shape. (2) Fold the loose strip of leaf over the chicken and wrap around the cone shape several times until the chicken is more or less concealed. (3) Tuck in the remaining strip into the parcel to seal. 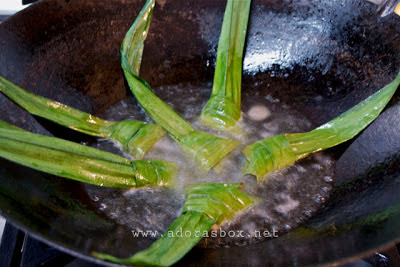 Shallow fry on medium heat for about 5 minutes, keeping the loose strips of pandan leaf above the oil. I loves Pandan Chicken too; either in grill or in deep fried! You're able to get fresh leaves in your country? i haven't had this in a long time. lucky you, you have pandan leaves over there in London, I have to source some over here in STL. Have a great week Adora! I love your step by step wrapping instructions! So very helpful. 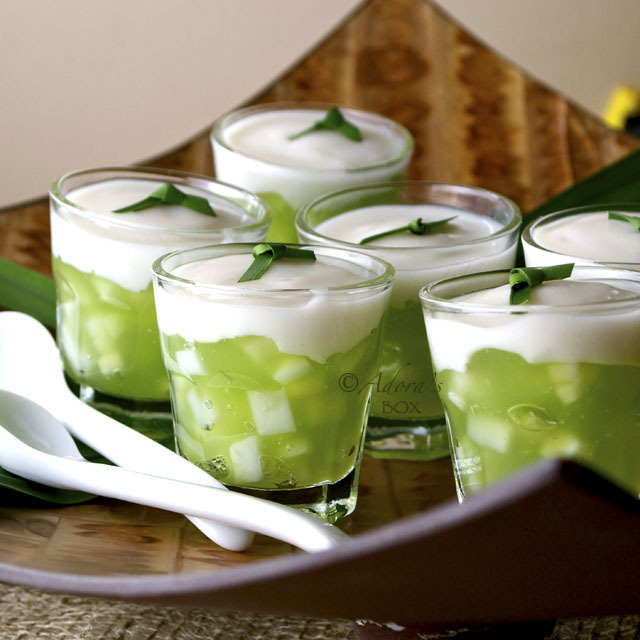 I only use pandan leaves to flavour the “che” or the homemade “soy milk”. These would make great snack food. I think I need to make this with my mom this weekend. We have a family gathering and I bet everyone will love it! This is actually a new ingredient for me. wow! I can't wait to try it. Adora... 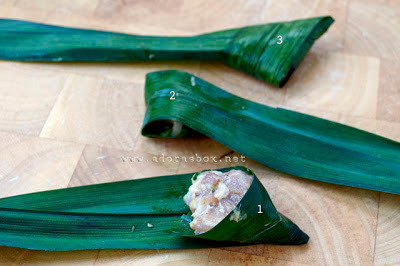 I LOVED this so much on how you using the pandan leaves! I remember the rice in the philippines wrapped in coconut leaves (they call this puso)... thanks for sharing! 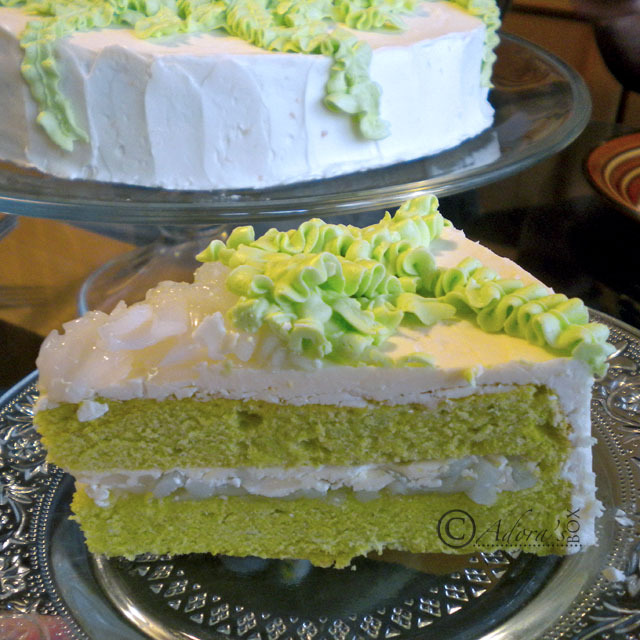 I love the very nice aroma of pandan leaves too and will always choose pandan flavor if there's a choice, mostly cakes, fillings and jellies. I've never had them before, but your presentation is absolutely stunning! Your pandan chicken is so appetizing, Adora! I sooo love pandan chicken but I haven't tried cooking it myself. Pandan leaves are just so hard to find here in TX. Love the look of these little bundles--so festive! Sorry Adora, I'm a bit late this time. 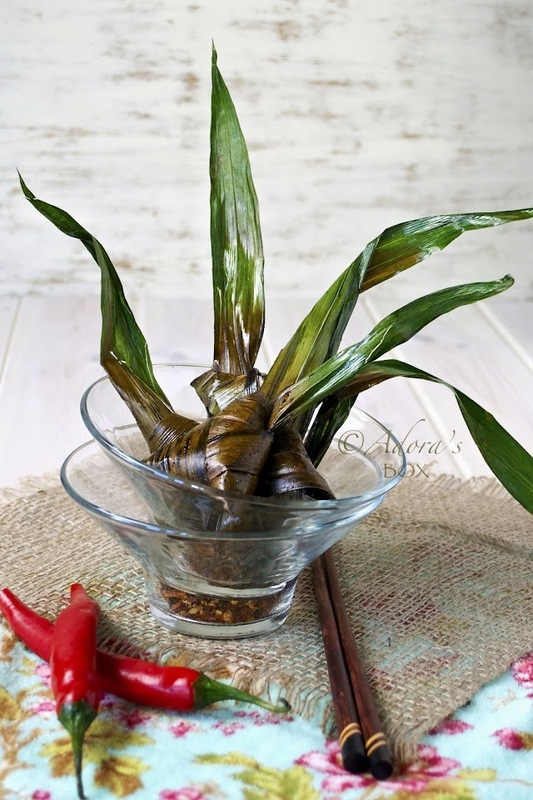 Beautiful presentation of Pandan Chicken! I've never tried this before but I would really love to try! The last photo is killing me..... looks so yummy!!! I wish it had a scratch and sniff too. It looks amazing! I wish I could get pandan leaves here. I am looking into getting a plant so i can grow my own. In Florida it will be warm enough to grow here. Your phtos tell the whole story! 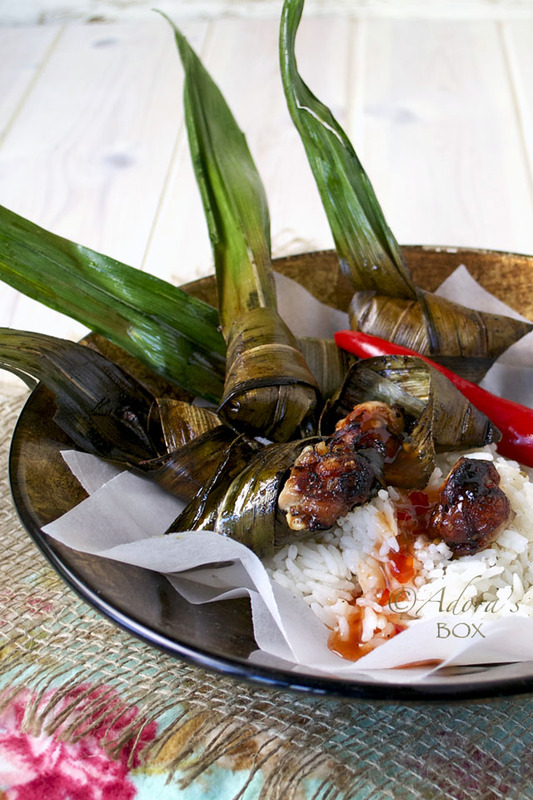 Your pandan chicken looks delicious! 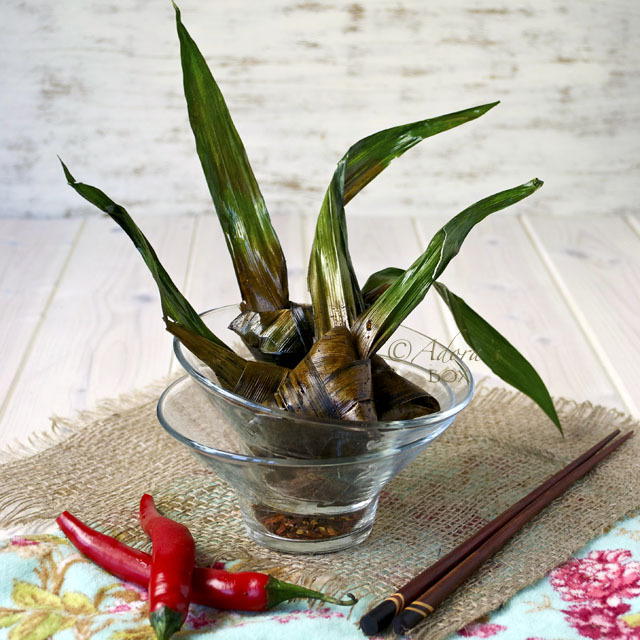 Bcak in Malaysia, practically every household grow their own But pandan leaves are also easily available. Here, it comes frozen and not all Asian stores have them. I use mine sparingly. it's my first time, love the recipes and the instructions are very simple.